14 years of Prohibition failed as it led to widespread lawlessness, corruption, organized crime and a general disrespect for law. As a result, many began to reevaluate the effectiveness of National Prohibition. AAPA, Association Against the Prohibition Amendment, led, organized and funded by many of the country’s wealthiest individuals and most powerful corporations, pushed for repeal: Du Pont, General Motors, etc. 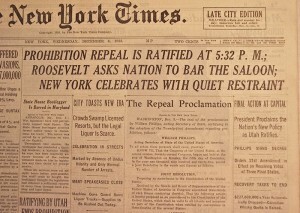 In 1933, in the middle of the Great Depression, with unemployment over 20%, the 73rd Congress of the United States passed the 21st Amendment to the United States Constitution which repealed the 18th Amendment mandating National Prohibition. 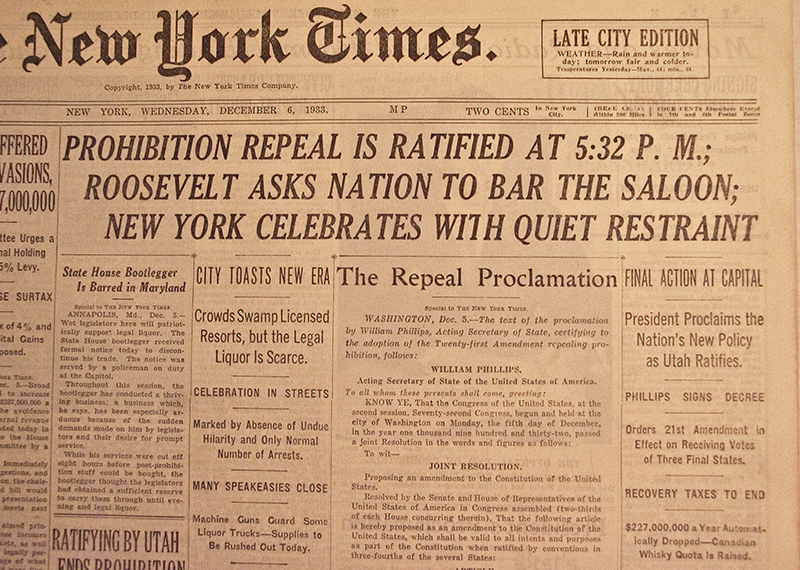 In December 1933, Utah became the 36th and final state needed to ratify and make the 21st Amendment the law of the land. Eight months after the 21st Amendment had become the law of the land, Montana, a late adopter, became the 38th state to ratify in August 1934.